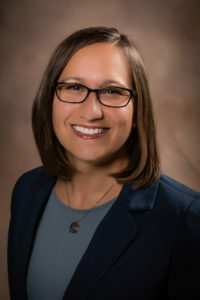 The Willard Companies today announced that Gretchen Hager Tipps has joined the company as the new Director of Marketing. Prior to joining The Willard Companies, Gretchen spent 17 years in journalism, spearheading the design and content organization of a daily newspaper section and several special publications that augmented the paper’s promotional efforts and readership. Her role included collaborating with other departments to design an inviting, engaging product, incorporating the ideas and goals of multiple colleagues. She looks forward to promoting the many businesses associated with The Willard Companies. “We are excited to have Gretchen on our team and anticipate using her creative expertise to implement innovative marketing ideas,” said Ronald L. Willard II, vice president of The Willard Companies. A native of southern Virginia, Gretchen spent many childhood weekends and summers with family at Smith Mountain Lake. She graduated from Fieldale-Collinsville High School and earned B.A. degrees in English and French from Ferrum College. She, her husband and their two children reside on a small farm in Chamblissburg, VA, with horses, goats, chickens, dogs and cats. Don’t be offended if an agent suggests that you paint before placing your Smith Mountain Lake home on the market. They understand “color psychology.” Since people’s reaction to color is immediate, it can have a tremendous influence on their daily choices. You can make your Smith Mountain Lake home stand out from the competition, sell more quickly and at a higher price if you use color effectively. Blues will feel cool, reds and oranges feel warm. Deeper shades of color imply intimacy and serenity. For the interior, consider the purpose of each room. Kitchen and dining areas painted in “food colors” such as coffee browns, celery greens and scrambled-egg yellows will make the rooms feel more natural. Hallways are a great place to bring in the exterior colors for overall harmony. Master bedrooms in medium shades of green or blue for warm selling seasons, and rouge red for cooler weather. Other bedrooms can be painted in creamy tones of green, blue, or a pale shell pink. Shades of blue, green or lavender can form a relaxing atmosphere in the bathroom. You’ve just inherited an old house in a distant location and want to put it on the market. You don’t have the time, resources or energy to make it perfect and just want a quick sale. Or maybe you had renters who did substantial damage and you don’t have the money to make necessary renovations. Just because it needs work doesn’t mean you can’t sell it. Many buyers today are looking for deals and may see potential in your home. Leave brochures for new cabinets in the kitchen, color palette around the bedrooms. Create computerized images of what updates might look like. Secure bids from licensed contractors on necessary fixes and provide them to potential buyers. People may mentally overestimate the cost of a new roof, shower stall, drywall repair or fresh paint. Providing sample estimates will bring the home into clearer perspective. Work with your real estate agent to make the home as presentable as possible for the least amount of money. Nothing is going to attract people more than a lowered price. You will need to discount to gain an advantage over comparables in better condition. A down-and-out house doesn’t mean you’re stuck. With small repairs, research and practical pricing, you can turn that “Ugly Betty” into a sale. Smith Mountain Lake homes garner more traffic and buyer interest when presented effectively—which means they sell faster. That’s why it is essential that you showcase your home through images in the best way possible. According to the National Association of REALTORS,® nearly 90% of all homebuyers begin shopping for homes online. They click through photos and send a list of those of interest to their real estate agent. In fact, homes with few or no photos are often skipped simply for that reason, even if the home’s description matches a buyer’s ideal listing. Add energy-efficient appliances: The U.S. Department of Energy claims that machines with the ENERGY STAR label can decrease water costs by up to 50%. There are machines that adjust water temperature and amount for each load to prevent excess and waste. Add a touch of pizazz: Consider designer colors, pedestals or sleek designs that can make a bold statement. Choose the best type appliance for you: Top loaders require enough water to cover all the clothes in its drum. Front loaders can reduce that by two-thirds—less water for larger loads. While they look great, they can be more expensive and can develop mold because they don’t empty as efficiently. Don’t forget the dryer: Moisture sensors recognize when laundry is dry more quickly than traditional machines and shut down sooner. This saves energy, cash and wear-and-tear on clothing. Consider steam: The use of steam washers and dryers for greater energy and water efficiency is also a growing trend. They offer enhanced clothing-care options such as short, steam-only cycles that help to reduce wrinkles and remove odors without using water and detergent. Laundry rooms used to be relegated to the basement. Today, people are finding space in more convenient areas of the house—like the kitchen, upstairs or near bedrooms. Experts agree that a laundry nook will raise the value of a home, making it more convenient as hauling baskets of clothing up and down flights of stairs become a thing of the past. Smith Mountain Lake home sellers spend so much time preparing their interior for the sale that they can easily overlook the outside. Great curb appeal invites prospective buyers to view the rest of the property. In fact, it can increase the value of a property by as much as 15-20%. Start with the basics: A well-manicured lawn is a magnet for Smith Mountain Lake home buyers. Overgrown trees or large bushes hiding the house are a definite no-no. Don’t forget to rake leaves, wash windows and skylights, clean gutters and trim shrubs. Don’t overlook the details: Consider adding flowers or sprucing things up with decorative grasses or Japanese maples. Accent trees with rocks or boulders to make a bold statement. Or how about adding a modest fountain to the yard or garden? Add low voltage lighting to highlight the yard, trees and the home’s exterior. Sometimes it’s the little, inexpensive things that can make a real difference. Do something as simple as adding a new mailbox, address numbers on your home, a new welcome mat and some potted plants by the front door. Remember, first impressions are often the most important.